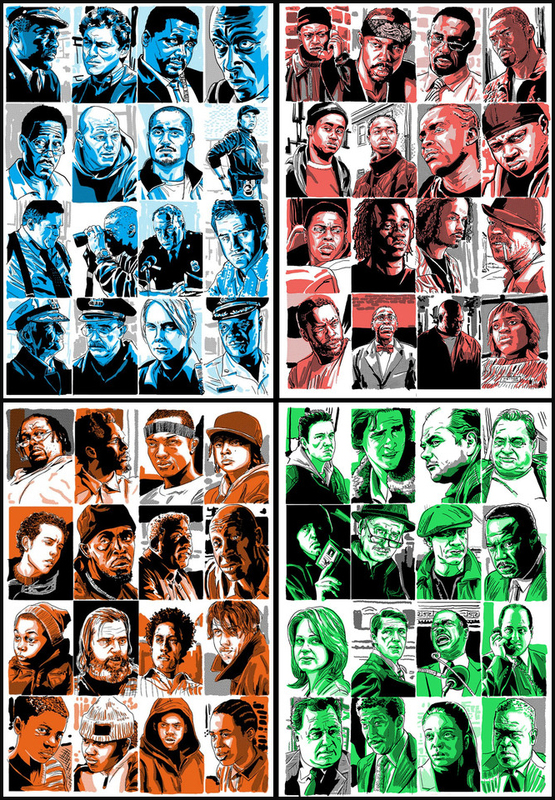 “The WIRE” print set returns- at Hero Complex Gallery! Artist Tim Doyle’s long-out-of-print poster set featuring just about EVERY single character from the TV show- THE WIRE, is now available as a part of Hero Complex Gallery’s ‘I AM THE LAW’ show currently on display! And this time- the prints are presented in a much larger 24×36 format! (the prints originally measured 18×26). These hand-printed posters are each signed and numbered in an edition of 50 each, and will not be reprinted at this size. Available HERE NOW at the Hero Complex Gallery store! ← Batman ‘Gotham PD’ AP copies On Sale info!